Is Burhan Wani a real hero for many people in Kashmir or the separatists’ and their masters in Pakistan are using his image to lure more local youth into terrorism to sustain the political campaign for ‘azadi’? Wani was killed on July 8 last year by the army in a precise raid in south Kashmir, months after he had posted his picture along with others of his gang on social media and dared the troops to lay their hands on them. The army has since killed all those who had been part of Wani’s team with the exception of one who opted to surrender. The Hurriyat Conference leaders like Syed Ali Shah Geelani and Mirwaiz Umer Farooq have asked the people to march to Tral, Wani’s hometown where he was laid to rest last year in front of thousands of mourners. The government has imposed restrictions on the movement and suspended Internet services to prevent the glorification of a terrorist. What makes Wani stand apart from other Kashmiri terrorists? He was the first to use social media openly and that made him popular with the younger generation. His Rambo-style pictures on the social media and later his death had attracted scores of local youth to the insurgency. More importantly, in Wani’s death, the Hurriyat was able to whip up passions and bring Kashmir to a standstill for nearly five months. It helped them revive the local insurgency at least in south Kashmir. This is a good reason for its leaders to keep harping on Burhan as a ‘hero’. However, on his death anniversary, there are murmurs of protests from Kashmiris on social media about deliberate attempts to lionise a terrorist as their hero. A Kashmiri has reminded netizens on Facebook that while praising terrorists like Wani they should also remember the innocent Muslims like Prof Mushir-ul-Haq, then vice chancellor of Kashmir University, who abducted and killed by terrorists. 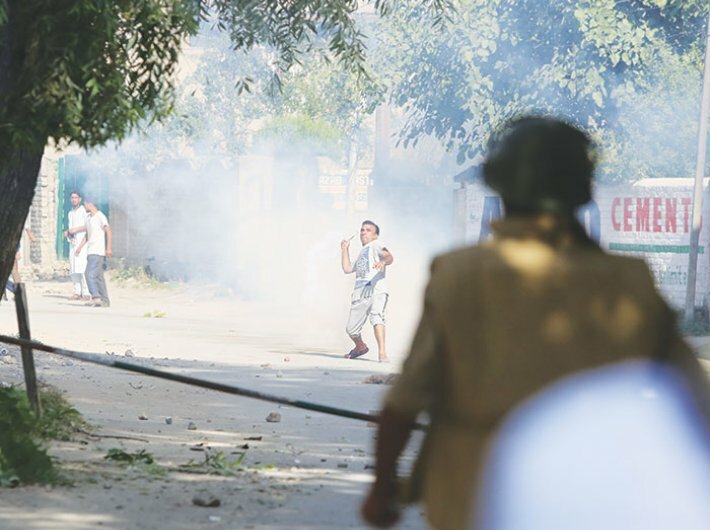 Others have apparently shown only a lukewarm response to Geelani’s call for Tral Chalo. The buzz on the social networking sites for Wani is also not much, though it could also be attributed to the clampdown on internet in Kashmir.